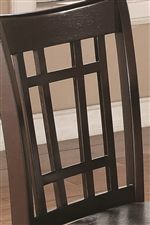 The casually styled elegant chair has class and sophistication and yet still retains the casual feel. Padded vinyl seats make for comfy sitting while the delightfully decorated chair backs will have you transfixed by the design. Lightly tapered legs complete the look with sleek contemporary lines. 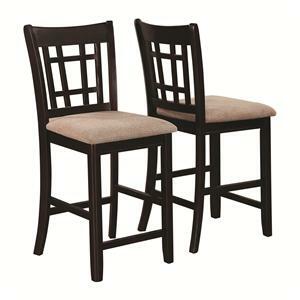 A dark espresso finish gives these chairs a richness that is perfect for any home. 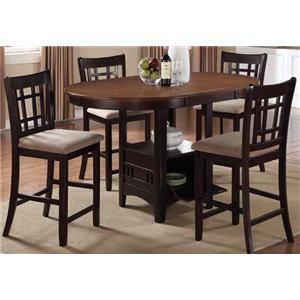 The Lavon Dining Side Chair With Padded Vinyl Seat by Coaster at Value City Furniture in the New Jersey, NJ, Staten Island, Hoboken area. Product availability may vary. Contact us for the most current availability on this product. 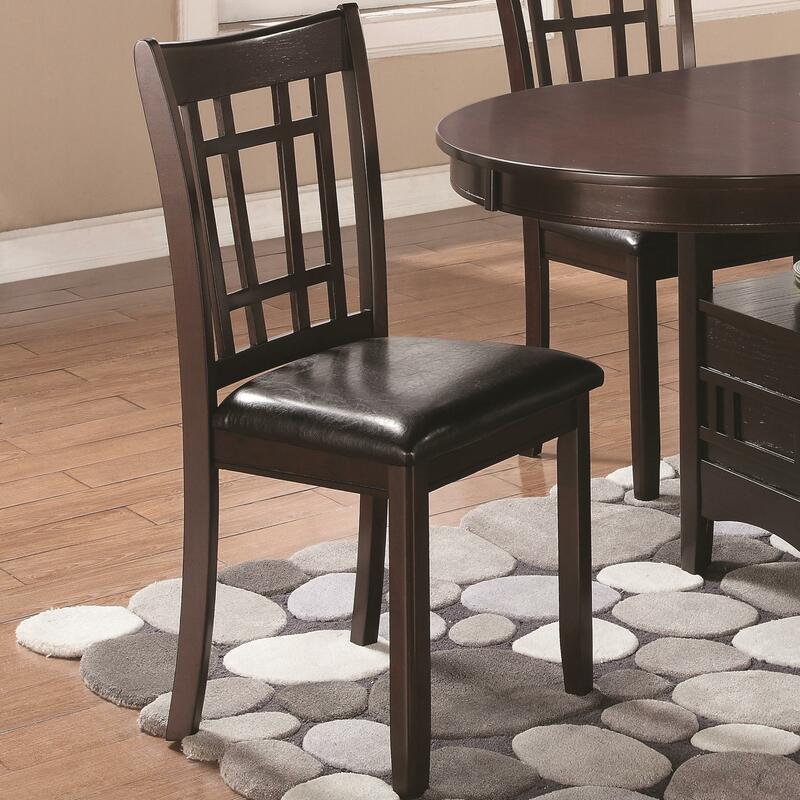 Casually styled with chic silhouettes, this Linwood dining collection offers simple sophistication. 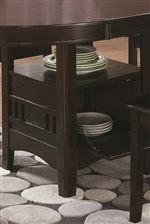 The table is unique in that it has a handy storage area in the base, perfect for storing extra silverware and plates. The table comes with a leaf too, so you are always prepared for guests. The handsome chairs have a delightfully decorated back that will take your breath away, and the padded vinyl seats are the perfect comfy place to sit while you eat your meal. 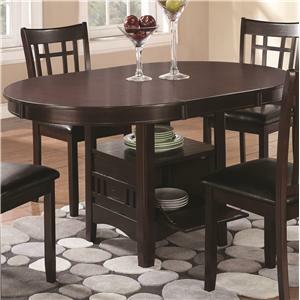 Both table and chairs are finished in a deep, elegant espresso color that give them just a hint of casual class. 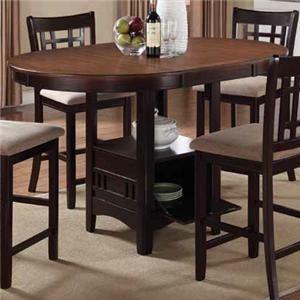 The Lavon collection is a great option if you are looking for Casual furniture in the New Jersey, NJ, Staten Island, Hoboken area. 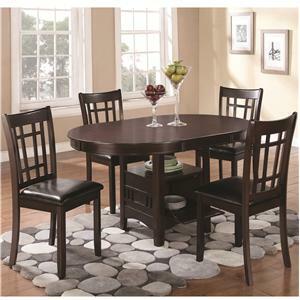 Browse other items in the Lavon collection from Value City Furniture in the New Jersey, NJ, Staten Island, Hoboken area.